The ‘snitch’ tackles a UBC player in the Semi-Final match. Photo by Devon Bidal, Senior Staff Writer. 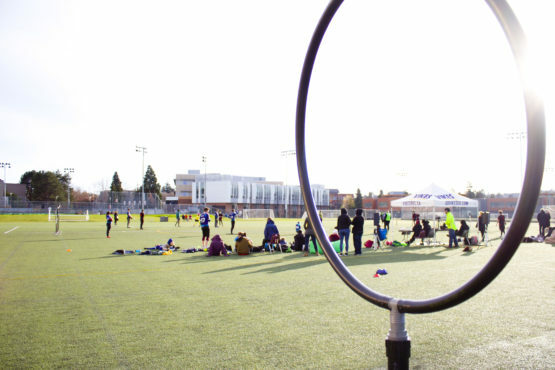 Quidditch, a game from the Harry Potter series, was brought to life on the artificial turf fields outside CARSA this weekend. A crisp fall wind bit at the cheeks of the athletes as they whipped around the pitch straddling their brooms, competing for gold at the 2018 Western Regional Quidditch Championships. 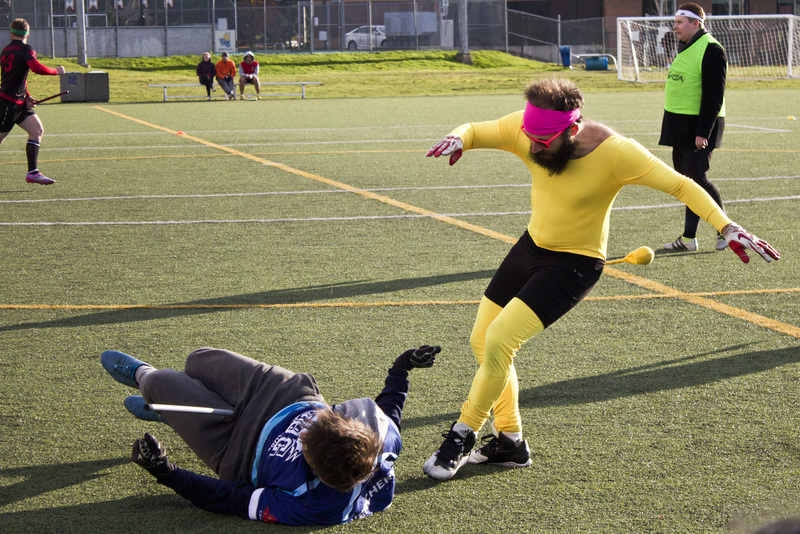 UVic hosted the two-day event which saw seven teams from Western Canada play in 31 intense games — many of which were live-streamed on the Quidditch Canada website. The rain held off, but the cold was as paralyzing as a Petrificus Totalus spell. Despite this, the athletes soldiered on. UVic’s very own Valkyries played nine games. They lost their matches on Saturday but hit their stride on Sunday morning. 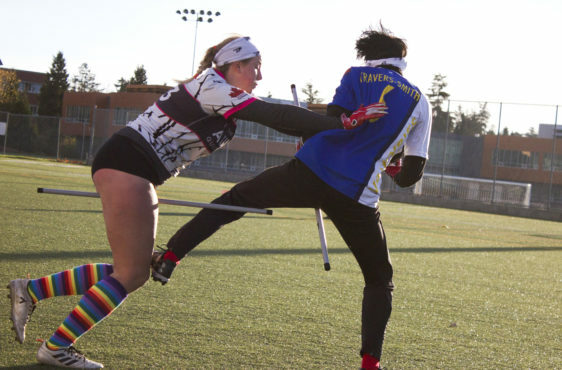 The Valkyries won their way to the semi-finals on Sunday, where they placed fourth after losing to SFU Quidditch 70-180 in the bronze-medal game. Making it into the semi-finals was big for the Valkyries, says Smids-Dyk, an Applied Linguistics student. 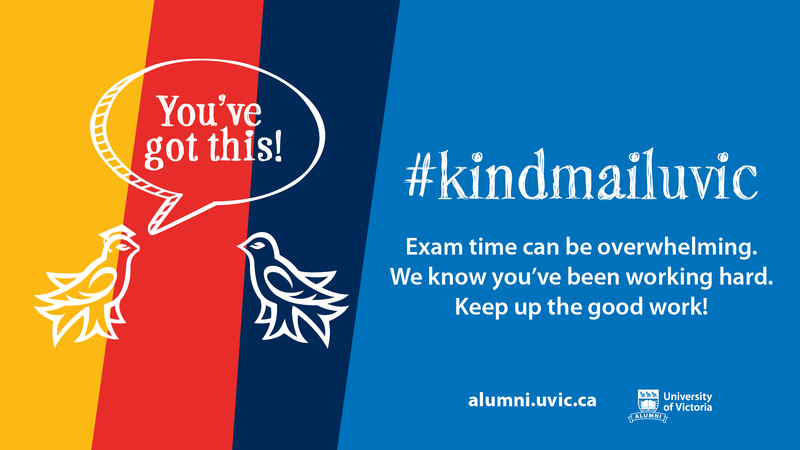 In past years, the UVic team was excited about a single score and now they’re winning games. “It’s really a great change,” says the self-identified Slytherin. The rain held off, but the cold was as paralyzing as a Petrificus Totalus spell. Quidditch can be hazardous. The game-play was stopped frequently due to injuries — the medic was constantly rushing on and off the field checking for concussions and broken bones. In their semi-final game against the Edmonton Aurors, the Valkyries’ chaser and keeper, Riley Bowen, took a tumble near the goal-posts. A Quidditch goal post. Photo by Devon Bidal, Senior Staff Writer. “I fell down, clanked my teeth, and now I’m working towards getting back on the field,” says Bowen, a Ravenclaw in his fourth-year of bio-psychology. The Valkyries lost that match so they moved on to the bronze-medal game where they competed with SFU Quidditch. This meant the Aurors would advance to the gold-medal match that night. The Aurors felt lucky to have the chance to play for the gold medal as they had been playing with a short roster and many of their players are rookies. “We have somebody who literally played their first game ever three games ago… for us, it’s about growth and doing our best,” says Radojewski. The Aurors ended up winning the gold medal match against the Vancouver Storm Crows Quidditch Club when their seeker finally caught the snitch properly. The snitch was caught many times in the game, but each time the referee decided that some rules had been broken and therefore the catch didn’t count. “This [was] a super contentious game. The snitch [had] been on the pitch for a while,” says Lee Johnson, captain of the UVic Valkyries. The snitch is played by a person with a ‘snitch tail’ — a small ball hanging in a yellow pouch attached to the snitch runner’s backside. The snitch enters the game at the 17-minute mark, and the seekers go in at 18 minutes and try to catch them. The snitch is worth 30 points and catching it usually ends the game. Dr. Z, the snitch runner for the goal-medal match who preferred to go by his nickname, says there are many tests that a hopeful snitch must pass before being approved for a game. Being a snitch can be scary sometimes, he says. Quidditch is a full contact sport. Photo by Devon Bidal, Senior Staff Writer. Quidditch Canada is a family, says Bowen. “A big portion is that we’re all here to have fun and learn from each other and get active in the community,” he says. Everyone who played in this tournament can go to the Nationals at McMaster University in March 2019.